Heat spinach in medium size pan with 1/3 c. water and stir until wilted. Remove from pan and drain; squeezing out as much water as possible. Combine neufchâtel, sour cream, mayonnaise, garlic, salt, and pepper until smooth. 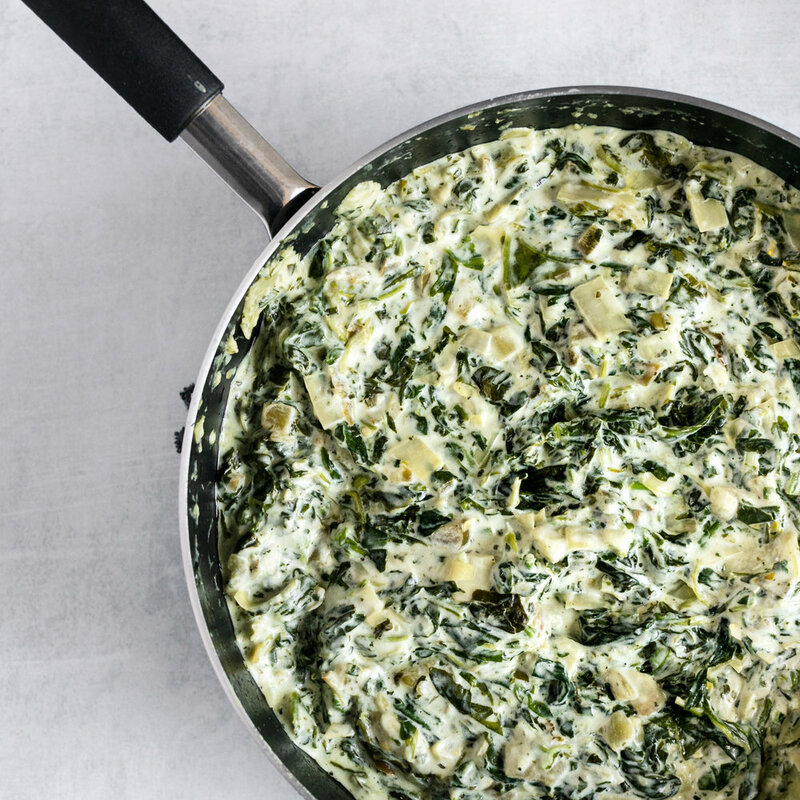 Fold in spinach and artichokes. Serve with fresh cut vegetables and crackers.